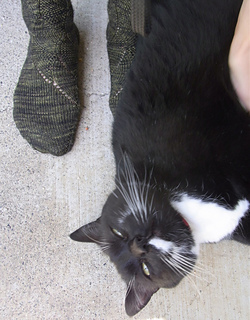 Named after the Mysterious Mr. (Harley) Quin from Agatha Christie’s novel. 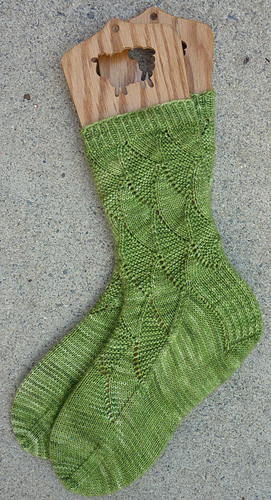 This is a top-down (stretchy) lace pattern with textured scallops that run across the instep. 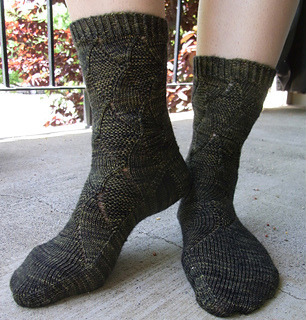 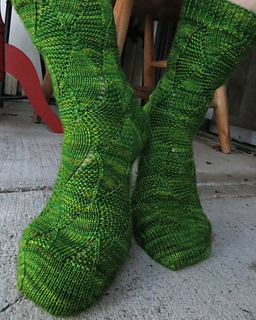 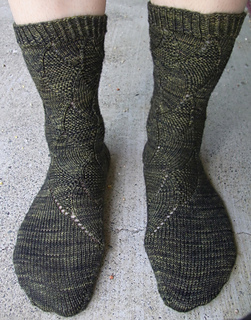 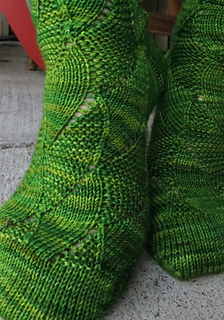 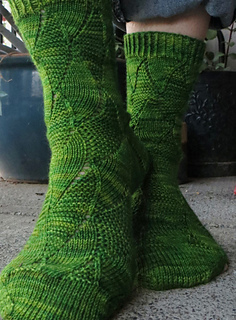 Pattern is for symmetrical socks and comes with instructions for 60-st and 66-st sizes. 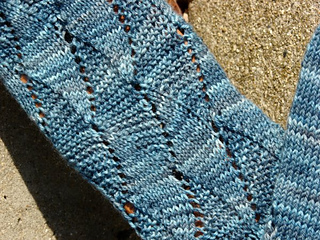 This pattern works great with a wide range of yarns, and there’s also a matching shawl.